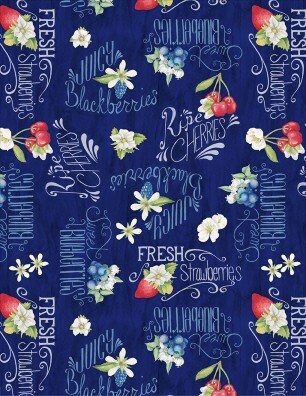 Dark Blue with pictures of cherries blueberries and strawberries and words about those fruits. From Wilmington Prints. 100% cotton. 44"-45" wide.